Video is such an important element of any marketing strategy because it gives marketers the power to show, instead of tell. If a picture is worth a thousand words, how many words is a video worth? The first step in successful video marketing is creating videos that people want to watch. The content of the videos should be compelling to the target audience, so be sure you really understand them first. A great way to generate video ideas is to take advantage of the comment section. At the end of your videos ask your viewers what they want to see next. This will provide insight into the customer base and generate a lot of valuable ideas. YouTube is the second largest search engine in the world. The site receives 1 billion unique visitors every month and processes over 3 billion searches a month. This makes it the obvious platform for your videos to reach the masses. Start by creating a YouTube channel for your brand that uses the logo, colors, name, and a captivating description. The next step, post videos! Just because YouTube is the biggest platform, doesn’t mean you should forget about other video sharing networks. Sites and apps like DailyMotion, Vimeo, Break, Vine, and Instagram are also great platforms for video marketing. *Some of the other video sharing sites and apps may have different limits than Youtube, so videos may need to be altered specifically for each. 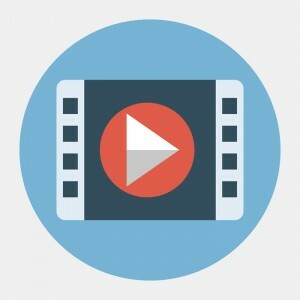 There are a few things you can do for your video to achieve higher rankings on search engines. Taking advantage of keywords is one tactic to optimizing a video. First, decide what keyword the video content is centered around. This keyword should be included the title and description, and used as a tag. Creating a catchy and search-engine friendly title will help your video get found by the right people. Besides the keyword tag mentioned above, more specific keywords that help search engines identify the content of the video should also be added. Including a transcript is another tactic to optimizing a video. YouTube allows you to upload a transcription file with the video. Quotes from the transcription can be place in the video description. The transcript can also be used as the basis for a text based blog post. All of these uses of the transcript will help optimize the video for search engines. To learn how to add a transcript to your YouTube videos read this article for a step by step tutorial. Make sure to share your video on blogs and all social media channels. The more places the video is posted, the more views, shares, and likes it is likely to receive. Remember that search engine crawlers can’t understand video content so including relevant titles, messages, hashtags, or even the entire transcript is important for ranking.